Don’t miss the Biggest Tailgate in Town! Family fun for everyone. Tailgate parties are hosted 3 hours prior to kickoff. 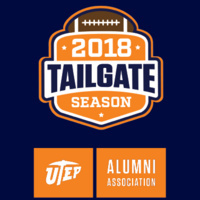 Enjoy a hearty catered meal, entertainment, pep rally, and Miner Pride! Pre-purchased tickets HIGHLY encouraged. On-site tickets not guaranteed and will be limited to the first 25 people on a first come, first served basis.